AB de Villiers is the only player to have scored a century in MI vs RCB matches played at the Wankhede. Mumbai Indians will face Royal Challengers Bangalore in the 31st match of the 2019 IPL at the Wankhede Stadium. This stadium has hosted eight matches between these two teams in the past, with MI leading the head to head 5-3. Rohit Sharma has won the highest number of Player of the Match awards in matches between these two teams - 4. He won three consecutive Player of the Match awards in matches between these two teams from 2016 to 2018. On that note, let us now take a look at some of the key stats from MI vs RCB matches played at this venue. 235/1 scored by RCB in IPL 2015 is the highest team total in MI vs RCB matches at the Wankhede. 136/7 by RCB in IPL 2013 is the lowest team total in matches between the two sides at this ground. 322 runs scored by Virat Kohli of RCB is the highest number of runs scored by a player in matches between the two sides at this ground. 133* by AB de Villiers of RCB in IPL 2015 is the highest individual score in matches between these two teams at the venue. It is also the only century scored by a player in MI vs RCB matches at this ground. 10 half-centuries have been scored in MI vs RCB matches at this ground. 4 half-centuries hit by Rohit Sharma of MI is the highest number of half-centuries by a player in MI vs RCB matches at this ground. 113 sixes have been hit in MI vs RCB matches at this ground. 15 sixes by Virat Kohli is the highest number of sixes hit by a player in MI vs RCB matches at this ground. 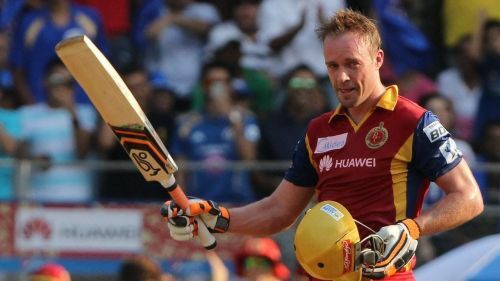 27 fours by AB de Villiers is the highest number of fours hit by a player in MI vs RCB matches at this ground. 8 wickets taken by Jasprit Bumrah of MI is the highest number of wickets by a player in MI vs RCB matches at the Wankhede. 3/19 by Dhawal Kulkarni of MI in IPL 2013 is the best bowling performance by a player in matches between these two teams at this ground. 5 dismissals by Dinesh Karthik (3 playing for MI and 2 playing for RCB) is the highest number of dismissals by a wicket-keeper in MI vs RCB matches at the Wankhede. 5 catches taken by Virat Kohli is the highest number of catches taken by a player in matches between these two teams at this venue. Follow Sportskeeda for all the updates on orange cap, points table, schedule, news, live scores, orange cap and fantasy tips.